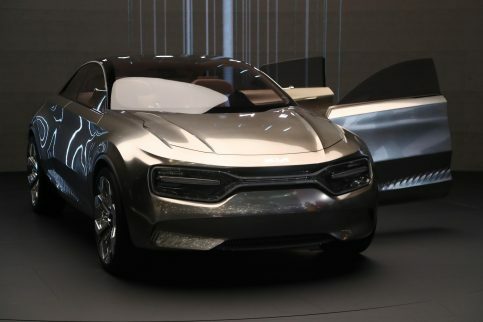 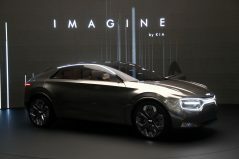 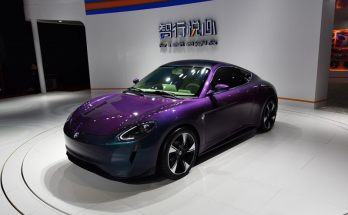 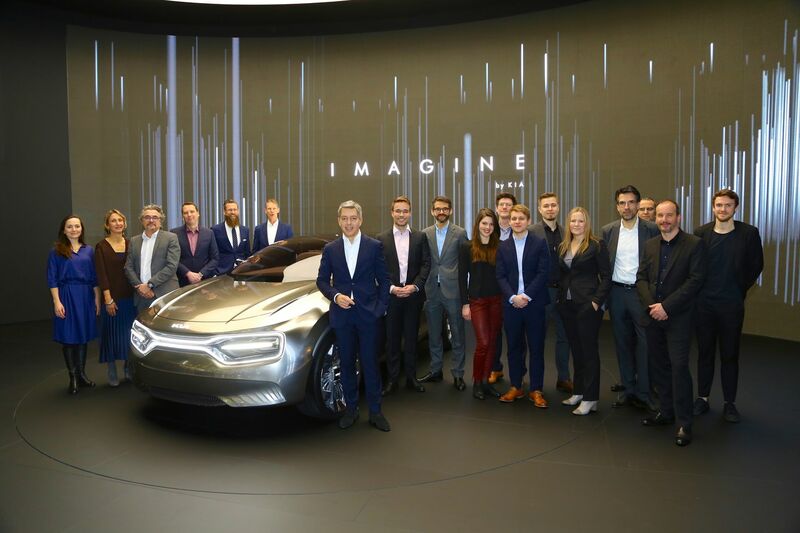 Another interesting idea about the Imagine concept has the presence of two trunks– front and rear, which perhaps will be possible by developing a new EV platform. 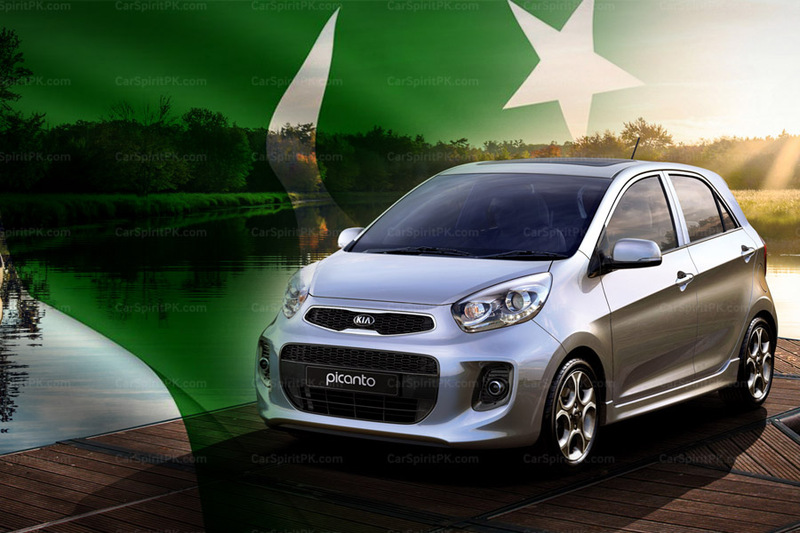 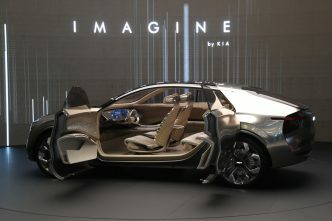 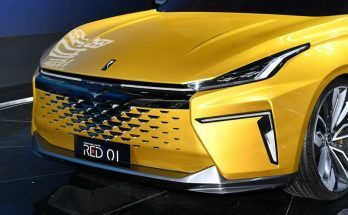 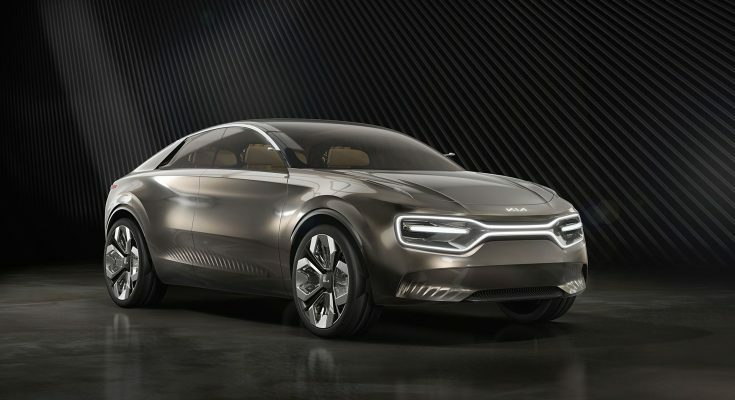 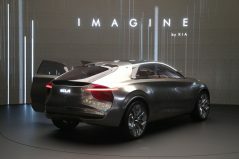 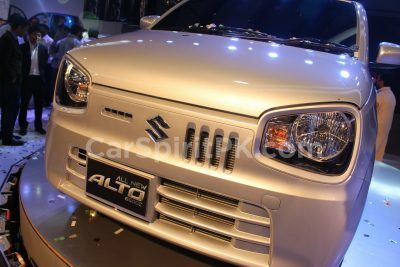 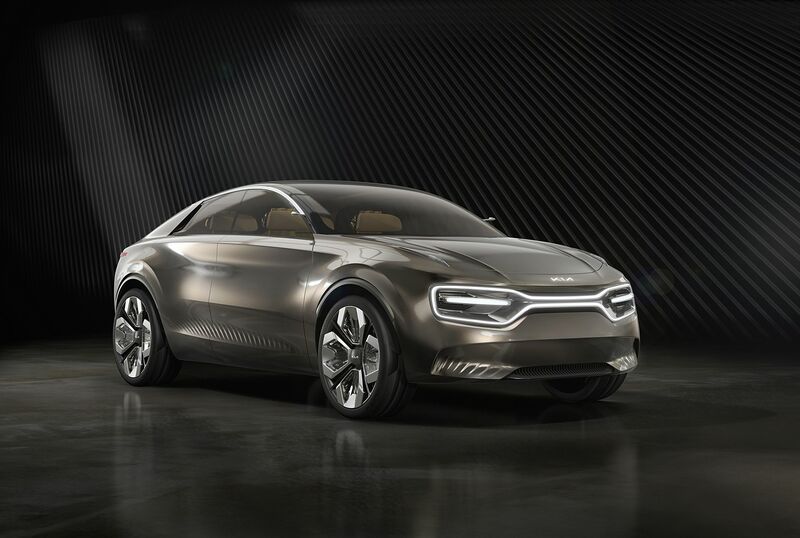 The Kia design team also focused a great deal of their attention on the vehicle’s aerodynamics, ensuring the car sliced as cleanly as possible through the air to reduce turbulence and extend its range. 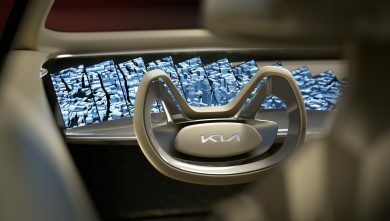 21 individual ultra high-resolution screens curve their synchronized way across the top of the dashboard in a layout that’s at the same time both casual and coordinated. 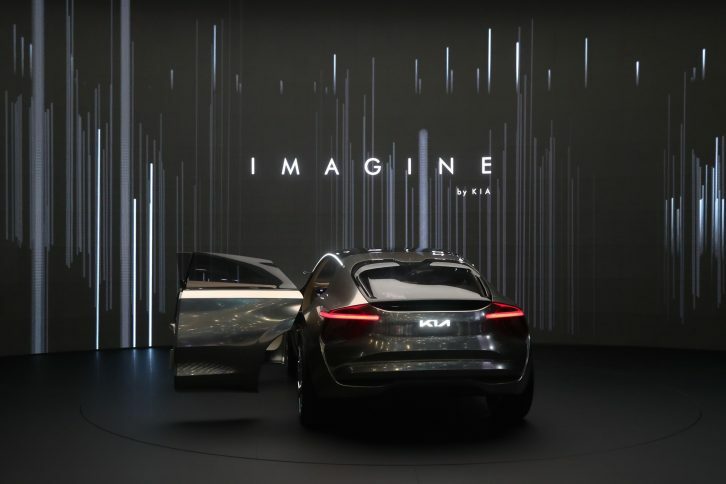 These 21 incredibly thin screens are a humorous and irreverent riposte to the on-going competition between some automotive manufacturers to see who can produce the car with the biggest screen, says Kluge.